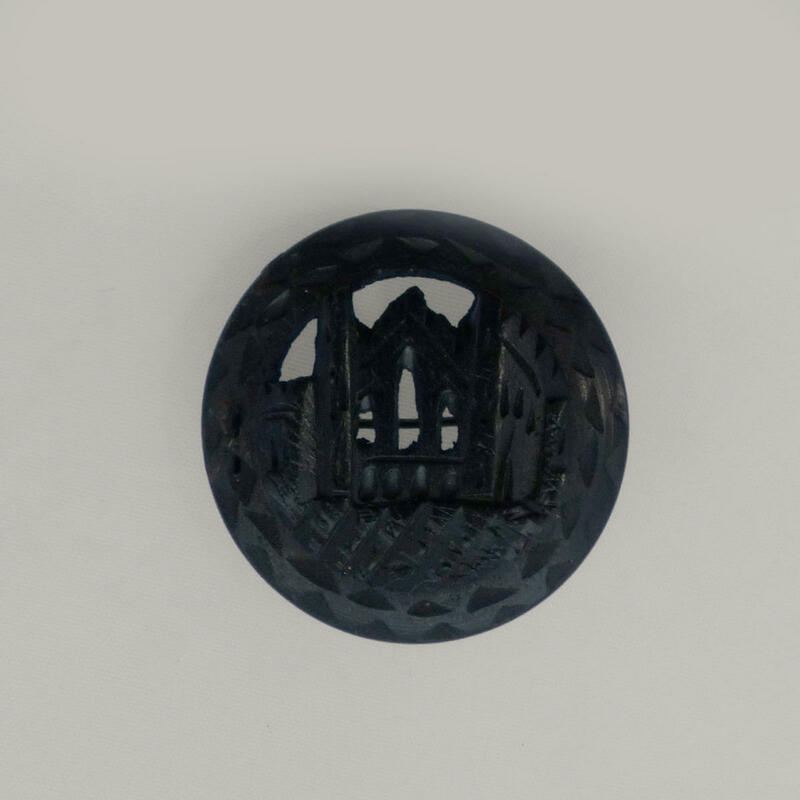 Hand carved brooch with a cathedral or minster, with a decoraded surround. Made from 10,000 year old preserved oakwood, dug from the peat of Ireland. Circa 1890. A matching necklace - most likley by the same maker - can been seen on display in the National Museum of Ireland in Dublin. Very good condition, the clasp has been neatly resoldered at some point, and there are teeny specs of dark glue or paint on the hinge side of the brooch. 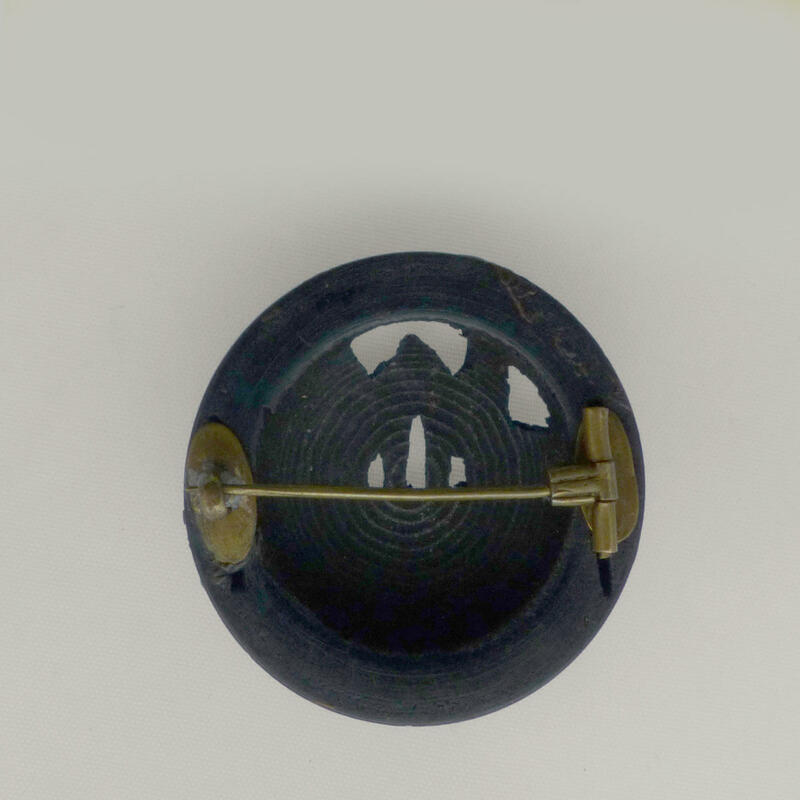 3.5cm across.